Whether it’s a traditional interlined with structured pelmets, and tiebacks or a more modern style that are lighter and bolder with Eyelet headings or the new wave finish. 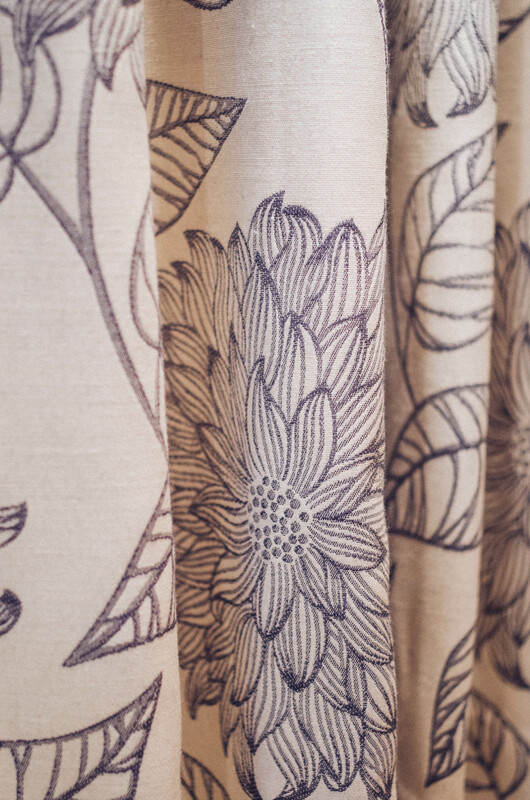 Window treatments can be used to enhance any window and room, our golden rule is to treat each window individually – dressing a window is the same as dressing a person, identify and enhance the positive and disguise the negatives. 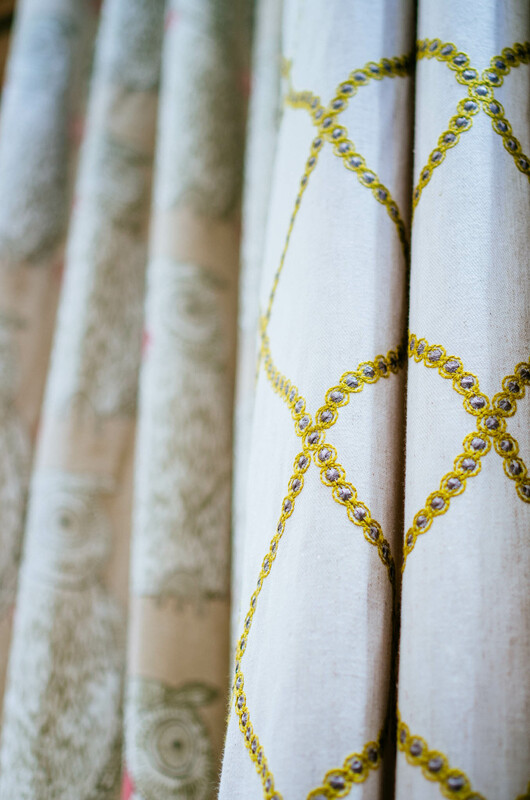 All of our curtains are made by ourselves and a full fitting service is available, the quality and variety of linings we offer is superior. 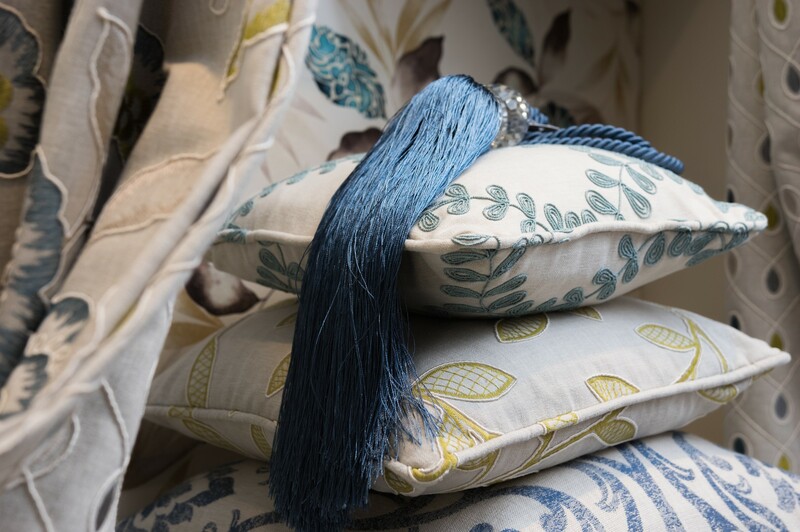 The choice of headings will often set the style of the whole room with pencil pleats, pinch pleats, goblets, deep pencil pleat, eyelets, ties, box pleat and inverted pleat. 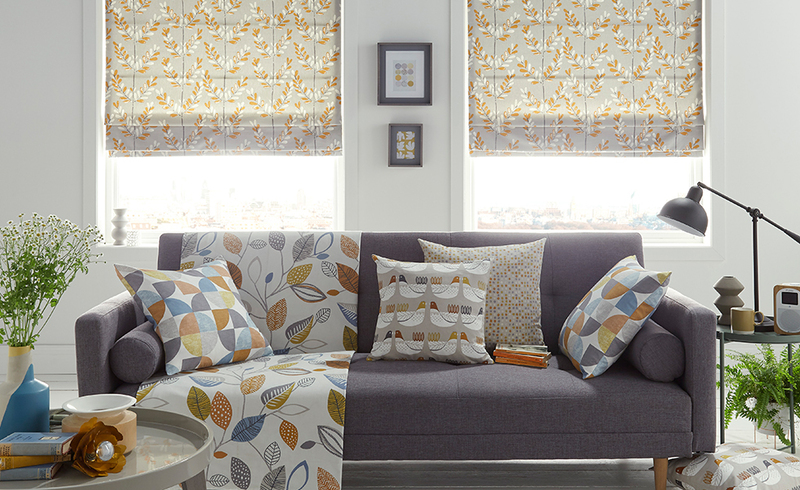 There is now a vast choice of curtains and very few rules, the results can be unique and wonderful – the choice is yours! New technology in textile design has resulted in some amazing new materials and the variety can be overwhelming. We offer a vast range of fabrics with over 200 fabric books available to choose from with the range changing on a weekly basis. 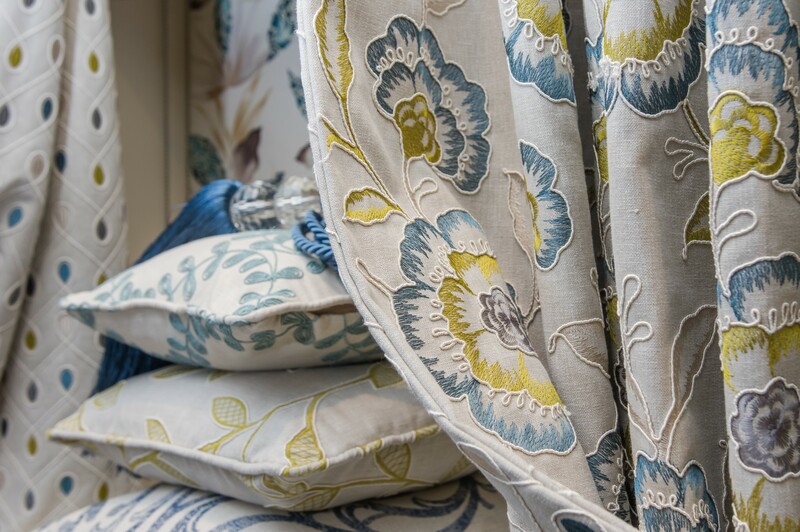 Some of our many fabric suppliers are Ashley Wilde, Clarke & Clarke, G-Studio, Kai, James Hare, Jones Interiors, Iliv, Blendworth, Chess, Chatnum & Glynn, Porter & Stone. 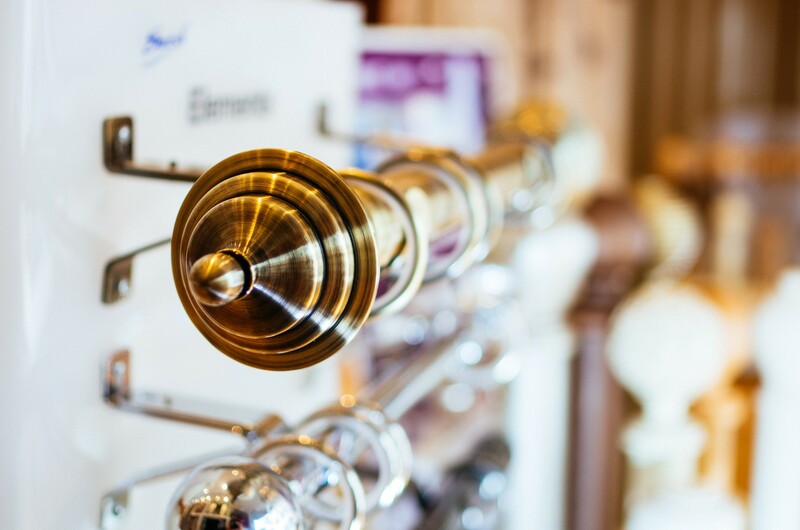 Curtain poles are almost invariably fitted above the window recess and they are designed to be on show. They are usually made from wood or metail but with a variety of styles and finishes this is helped with the decorative finials. The curtains can be suspended from the ring on hooks or eyelets where the curtain pulls along the pole through a ring. Tracks offer a more practical system and are generally hidden behind a valance or pelment, although in recent years tracks have become sleeker and more discreet. Tracks are particularly suitable for bay windows. Heavy duty tracks are available in metal and can be operated on a pulley cord and are a good solution for a heavier weight curtain. Metropoles are a newer solution, they look like a pole and can be decorative with a variety of finials but operate as a track with gliders running underneath the pole, which can be hidden by the curtain itself. 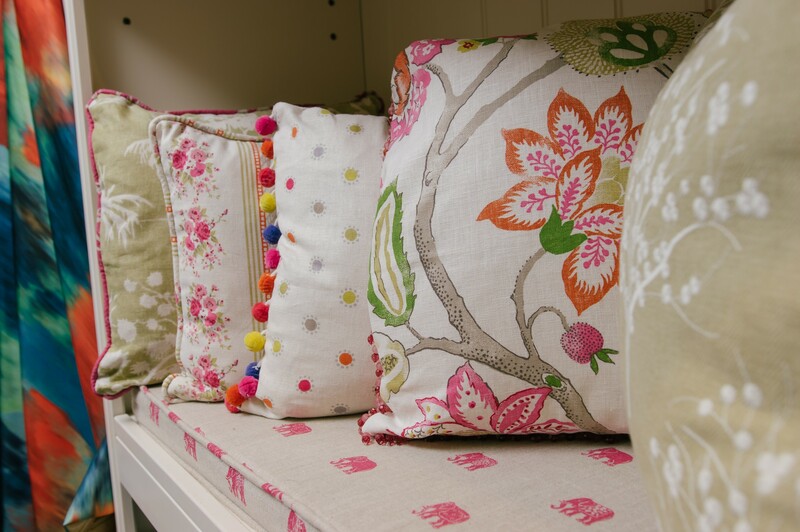 Cushions continue to be popular and you can never have too many! They can be any size, style and shape, with a variety of finishes with fringes, beads and complementary piping. 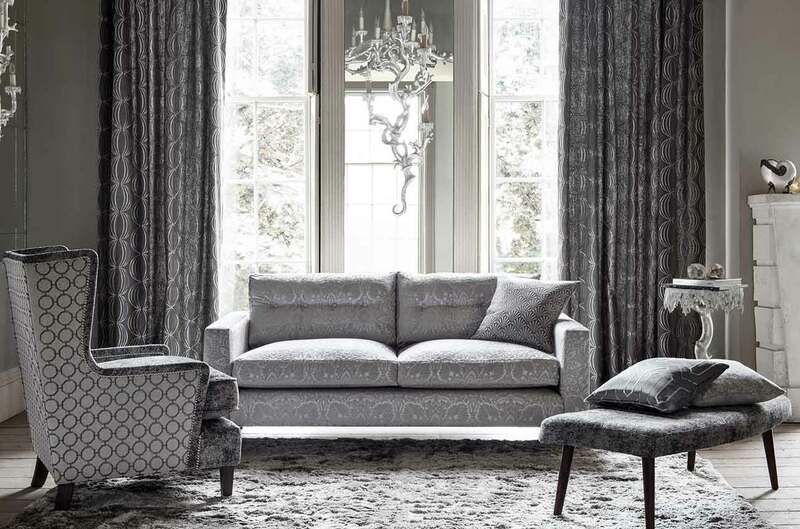 They can finish any room design using a matching fabric to the window dressing but they can also liven up any chair or be combined with a window seat to provide additional seating. We can supply window seats to complement any interior, with any size and shape to match your requirements, finished with a quality foam pad, piping and zipping. 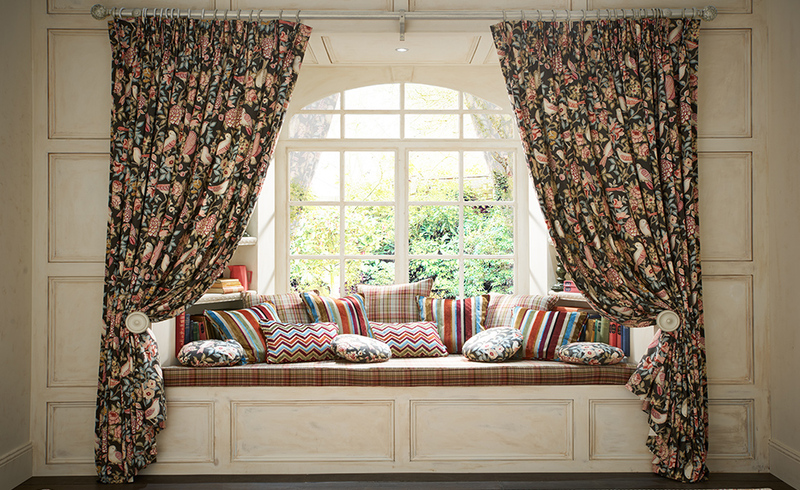 Often suitable on grander windows and ideal for bay windows as the track can be discreetly hidden. They can be gathered on a valance track and have a pleated style or a more formal style with goblet or pinch pleat headings. The pelmets are usually fixed on a solid base and often shaped and coordinated with the curtains with a variety of colours and finishes. Swag and tails are still a popular option and can be used on their own as a useful treatment to an unusual window shape. Tiebacks can be used to complete the looks of a window dressing, but they also often have practical uses. 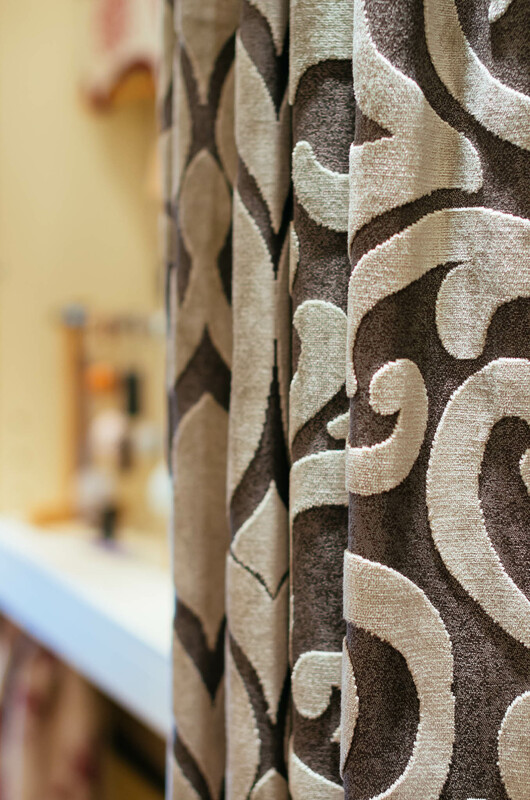 There are many different styles and types available including cord, tassels, and traditional or contemporary fabric tiebacks to match your curtains. We also have a wide range of holdbacks available including solid disc, swing arm or solid hooks that will be matched to the curtain pole.